Yes! Our guests adore our resident seals, and the range of Seal Experiences we offer are the perfect way to get to know these playful animals, as well as learn more about them. We've put together a range of seal experiences which help guests really get to know our resident seals. 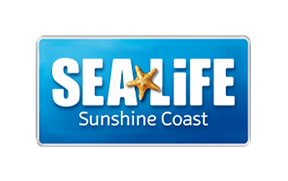 During these experiences, participants will get to look behind the scenes here at SEA LIFE Sunshine Coast to see how our seals and trainers prepare for the daily seal shows, as well as get an understanding about what it takes to care for these incredible animals. Please be aware all our Seal Experiences are unsuitable for expectant mothers or guests who suffer any kind of fish or cephalopod allergy, no matter how minor.